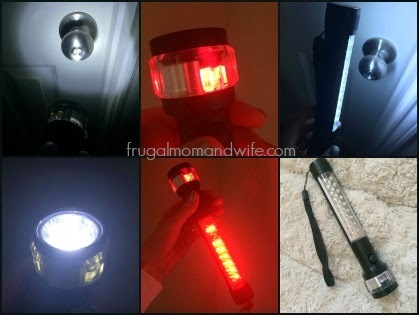 Frugal Mom and Wife: AYL 3-in-1 Cree LED Flashlight with Magnetized Base Review! 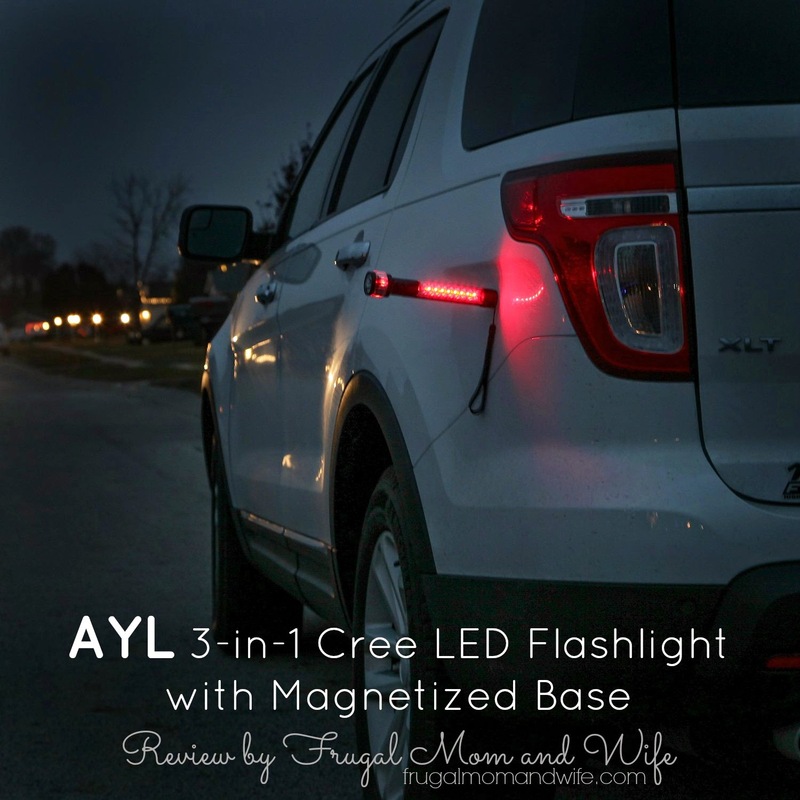 AYL 3-in-1 Cree LED Flashlight with Magnetized Base Review! In your vehicle new or old, you never know when or where a problem could arise. The last thing you need is to literally be in the dark. Having an emergency kit on board is a wise idea. You can keep first aide kits, jumper cables, water, a flashlight and more. Having a flashlight of course is a must but I bet you haven't seen one made specifically for vehicle trouble. 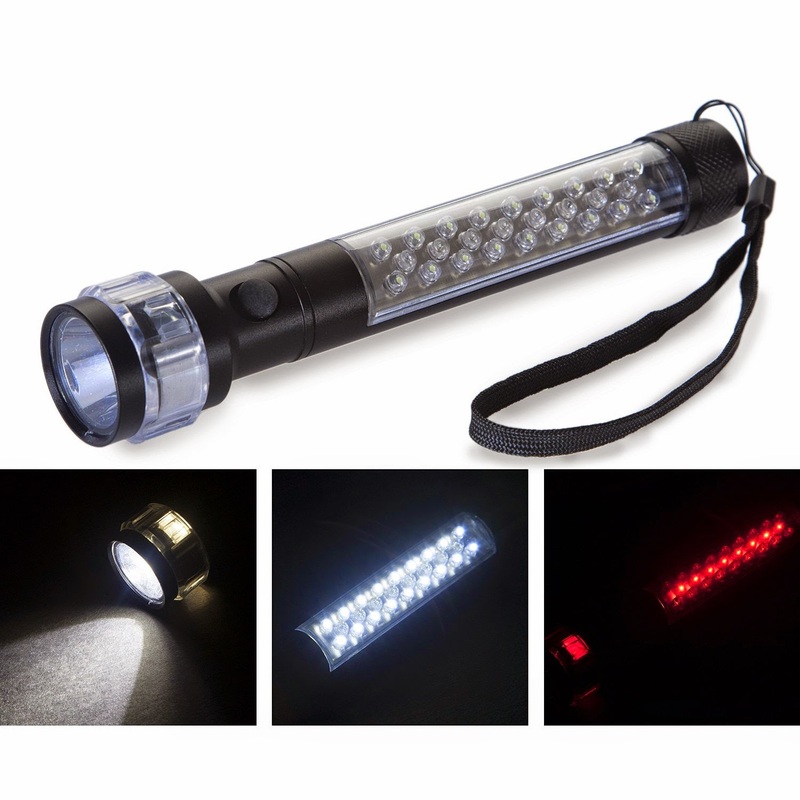 This is the ultimate vehicle flashlight for you. The light is so bright you can see the tiniest details. This is a must for engine and tire trouble. Have you ever seen a flashlight that also doubles as an emergency light? Now you have! I highly recommend this vehicle flashlight to anyone who possesses a vehicle. Regardless of who you are and whether you work on your own vehicle or not. The emergency light helps those looking for you in trouble to see you and those not paying attention be more alert with the added light. All lights are very bright and clear. This flashlight is so easy to operate a child could use it with ease. Be safer in you vehicle and even at home with this all in one original vehicle light.